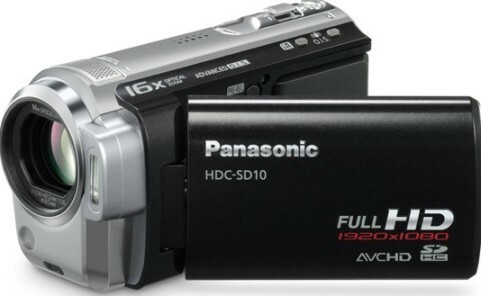 Panasonic has announced the launch of its new Panasonic HDC-SD10 (records onto SDHC/SD card) and Panasonic HDC-TM10 (records onto both 8GB integrated memory & SDHC/SD card), which the company claims as the world’s lightest HD camcorders (weigh just 0.5 LB), featuring 1080p AVCHD video recording, Panasonic’s Intelligent Auto (iA) mode, Auto Power LCD touch screen, 1.9-sec Quick Power-On, Pre-Rec function and high-powered 16x optical zoom with advanced O.I.S. (Optical Image Stabilizer) function. According to the company, the Panasonic TM10 incorporates Relay Recording function that automatically switches the recording media from built-in memory (while memory full) to SDHC/SD memory Card, aiming for uninterrupted recording. 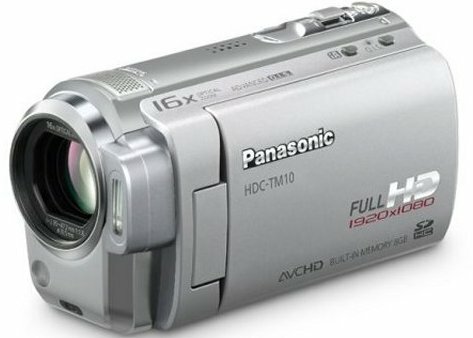 The new compact Panasonic HDC-SD10 and Panasonic HDC-TM10 HD camcorders that compatible with Panasonic’s VIERA Link for quick and easy viewing of full HD video content are slated to hit the market in coming September for around $550 and $600, respectively.